A transgender woman shot and robbed in her Birmingham, Alabama home on Monday may have been attacked by the same suspect responsible for killing a transgender woman in a hotel room last month, authorities say. Police have charged 23-year-old Denzell Thomas with attempted murder and first degree robbery after he allegedly entered the home of his 24-year-old victim Monday morning and shot her in the face, AL.com reports. Her boyfriend arrived to the scene shortly thereafter to find the suspect still there, though he quickly sped off. A search of the victim’s wallet revealed that cash and debit cards had been taken. Thomas remains a person of interest in in the shooting death of another transgender woman who was killed Sept. 23 in her motel room at the Kings Inn in Birmingham. He has not been charged with any crime in connection with that incident. He is, however, awaiting trial unrelated charges of carrying a pistol without a license and drug possession after arrests over the summer. According to Mic, the murdered woman was identified as 30-year-old Jazz Alford. Her body was discovered by housekeeping staff, and emergency workers pronounced her dead at the scene. Alford’s sister, Toya Milan, who is also transgender, told AL.com that her sister was loving person with no known enemies. 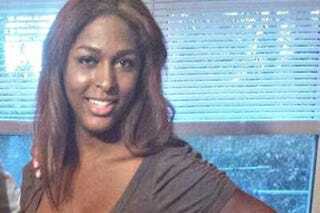 By the Advocate’s count, Alford was the 22nd transgender person murdered in 2016, surpassing 2015’s total of 21.